Laser cutting acrylic is an art and a science. There are many factors that will play a role in your ability to get the best possible edge; both in the material as well as the laser cutting machine itself. For example, the brand of acrylic and the type of acrylic can greatly impact the job. Other factors include laser power, frequency, speed as well as the laser table setup, focus, gas, exhaust, and material preparation. It's important to factor in the power and velocity of motion system during cutting. Sometimes it is better to slow the laser down AND lower the power in order to lessen the vibration of the motion system. The lasers ability interpret curves and how smooth the laser’s motion system can change directions is critical. A very “clunky” motion system will produce waviness in the acrylic. Trotec's Speedy series uses brush-less servo motors for smooth motion across the work piece. Keep in mind how the laser’s printer driver sends a curve to the laser. If the curve are a jumble of nodes, the edge quality will resemble a coins edge. By reducing the nodes in the original file and using Enhanced Geometries in JobControl you're curves will be smooth. 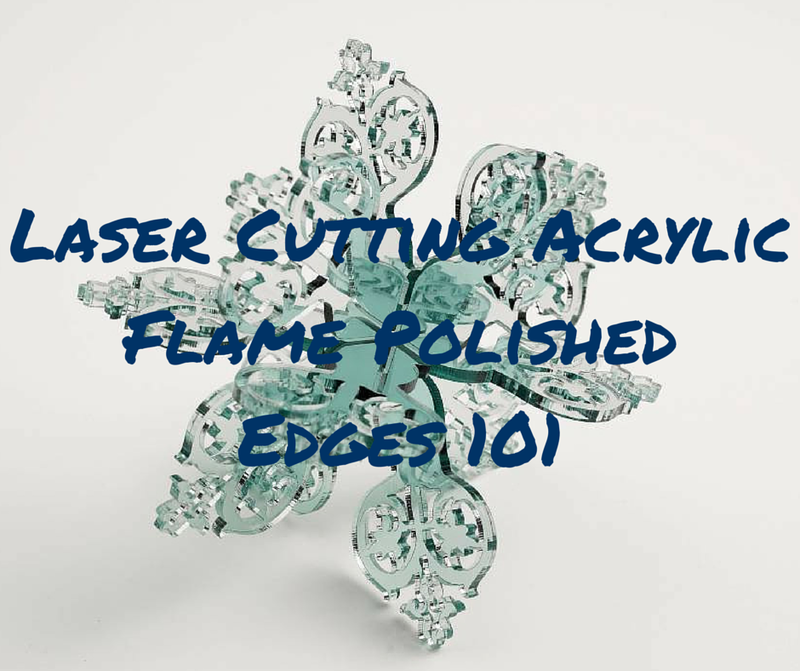 ​Stay tuned for more tips on getting flame polished edges when laser cutting acrylic. wow that looks amazing! I'd love to be able to offer products made like that.